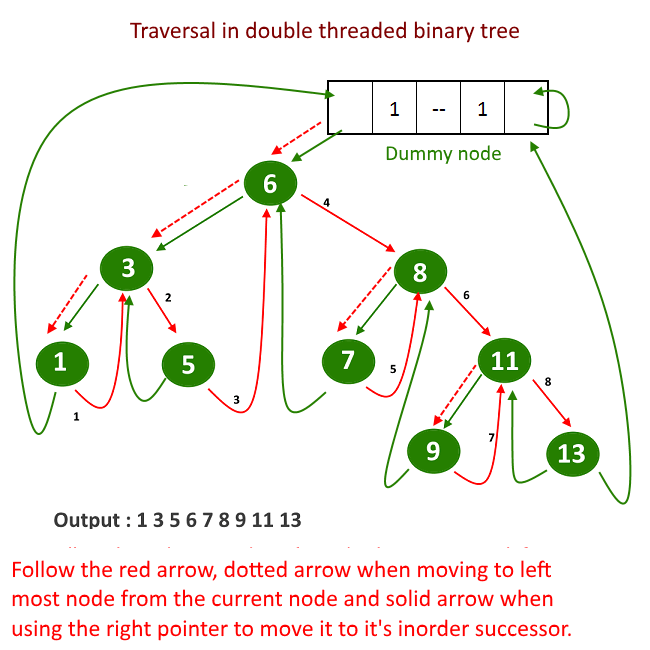 Double threaded: each node is threaded towards both the in-order predecessor and successor (left and right) means all right null pointers will point to inorder successor AND all left null pointers will point to inorder predecessor. If you notice we have two extra fields in the node than regular binary tree node. leftBit and rightBit. Let’s see what these fields represent. Now if you see the picture above , there are two references left most reference and right most reference pointers has nowhere to point to. Need of a Dummy Node: As we saw that references left most reference and right most reference pointers has nowhere to point to so we need a dummy node and this node will always present even when tree is empty. 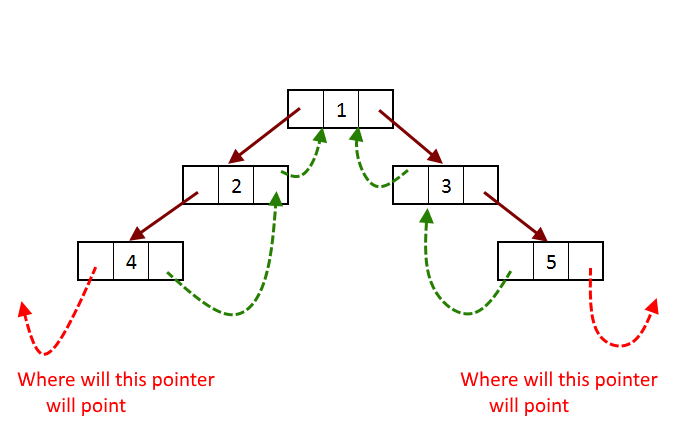 In this dummy node we will put rightBit = 1 and its right child will point to it self and leftBit = 0, so we will construct the threaded tree as the left child of dummy node. Now we will see how this dummy node will solve our problem of references left most reference and right most reference pointers has nowhere to point to. 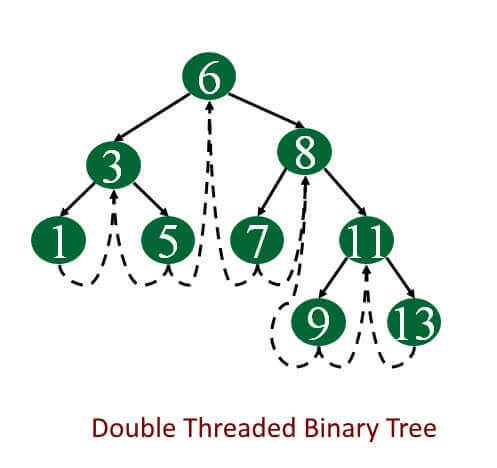 Now we will see the some operations in double threaded binary tree. First check if tree is empty, means tree has just dummy node then then insert the new node into left subtree of the dummy node. If tree is not empty then find the place to insert the node, just like in normal BST. 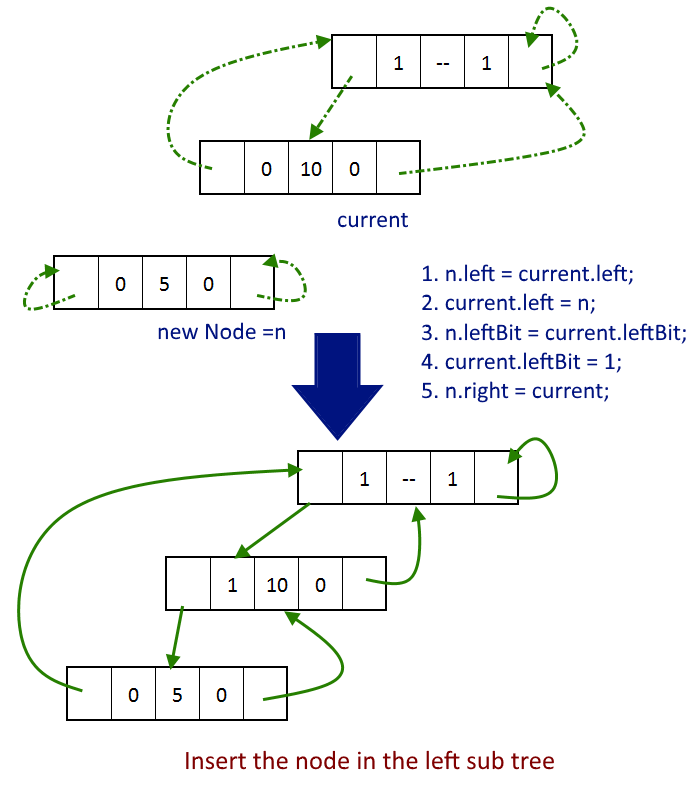 If new node is smaller than or equal to current node then check if leftBit =0, if yes then we have found the place to insert the node, it will be in the left of the subtree and if leftBit=1 then go left. 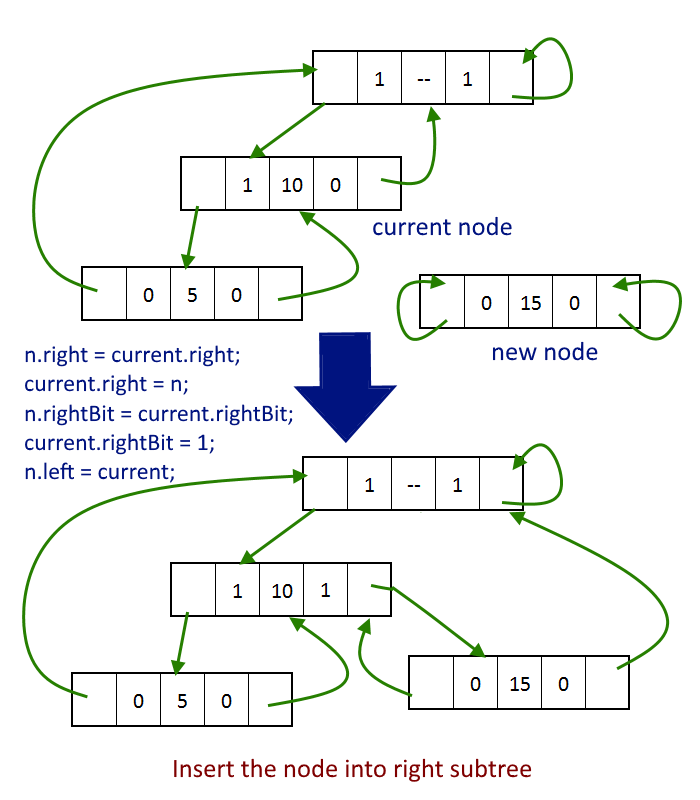 If new node is greater than current node then check if rightBit =0, if yes then we have found the place to insert the node, it will be in the right of the subtree and if rightBit=1 then go right. Repeat step 4 and 5 till the place to be inserted is not found. Once decided where the node will be inserted, next task would be to insert the node. first we will see how the node will be inserted as left child. To insert the node as right child. 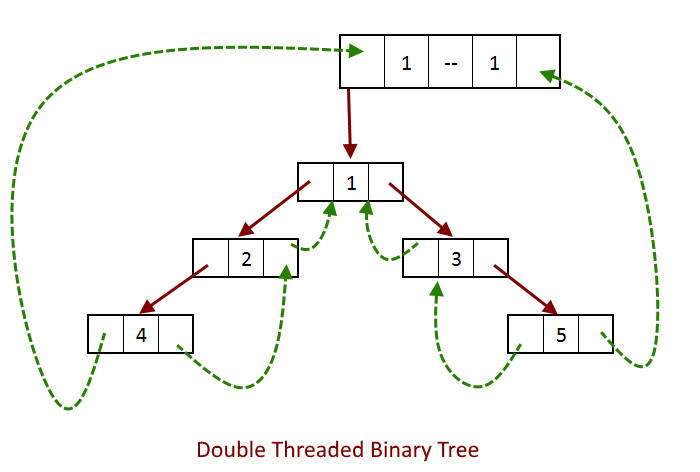 Now we will see how to traverse in the double threaded binary tree, we do not need a recursion to do that which means it won’t require stack, it will be done n one single traversal in O(n). Starting from left most node in the tree, keep traversing the inorder successor and print it. (click here to read more about inorder successor in a tree). 242 queries in 0.151 seconds.